Riley Blake Designs presents Sew Cherry 2, designed by Lori Holt. Each yard of this fabric contains 4 different fat quarter pieces. 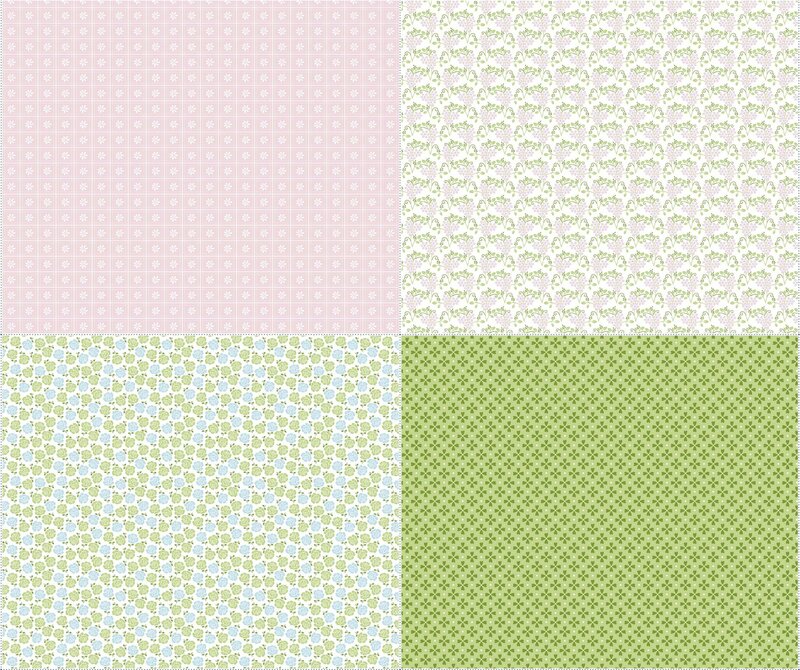 All 4 fat quarters have different, but corresponding green and pink floral designs. Sold by a 36" panel. 44" wide. 100% cotton.